“Just like mama made it” is a phrase often associated with authentic Italian cooking. Cucina does just that, mimicking traditional home-cooking style, with high-quality produce that makes you feel like you’re in a quaint restaurant on a backstreet in Florence. If you’re looking for the full family feast experience then the “Taste of Italy” menu is a must-try. 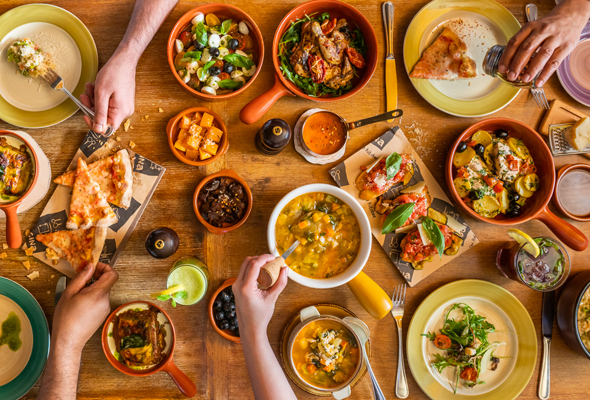 The pot to plate special menu offers a range of dishes from the cosy trattoria-style old Italian kitchen, leaving you feeling full to the brim. The menu is a great way to sample some of the restaurants favourites for just Dhs125 per person. For those who’d prefer to go a la carte, you won’t be disappointed. Watch your food being prepared from the open kitchen, with the smell of freshly baked dough, tomatoes, olive oil and oregano wafting around the restaurant. 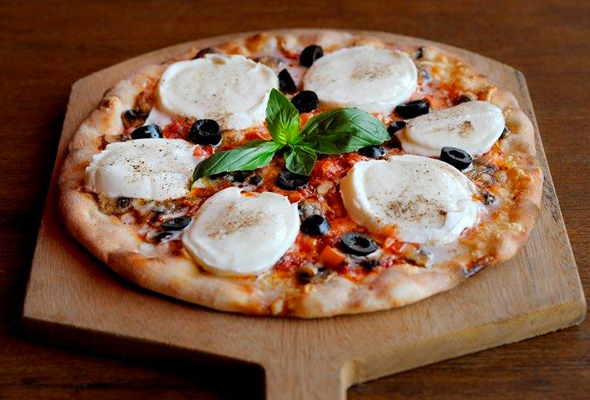 The wood-fired pizza oven gives the thin crust pies and pizzas a deliciously rustic flavour, while the rest of the menu is packed full of home-made classics. Expect a range of Italian antipasti and salads, as well as pastas and risottos. It’s not just the food that will transport you to an Italian province. The decor of the restaurant is in-keeping with the trattoria vibe of the dishes. As soon as you walk in you’re met with warm, welcoming interiors like exposed brick, wooden furniture, and the bustle of chefs from the open kitchen.